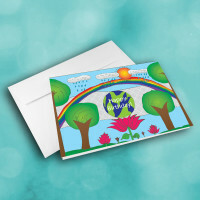 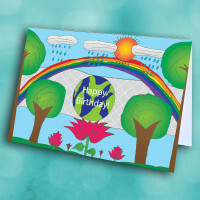 Let the beauty of nature enhance your birthday wishes, with this detailed, natural birthday card. 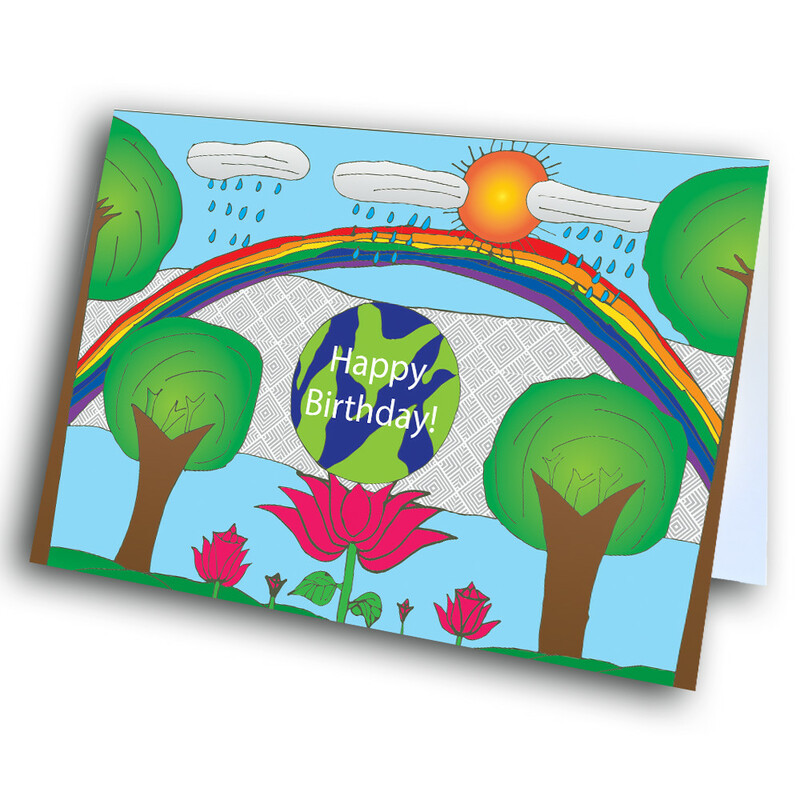 Share your birthday greetings with the peace and beauty of nature. 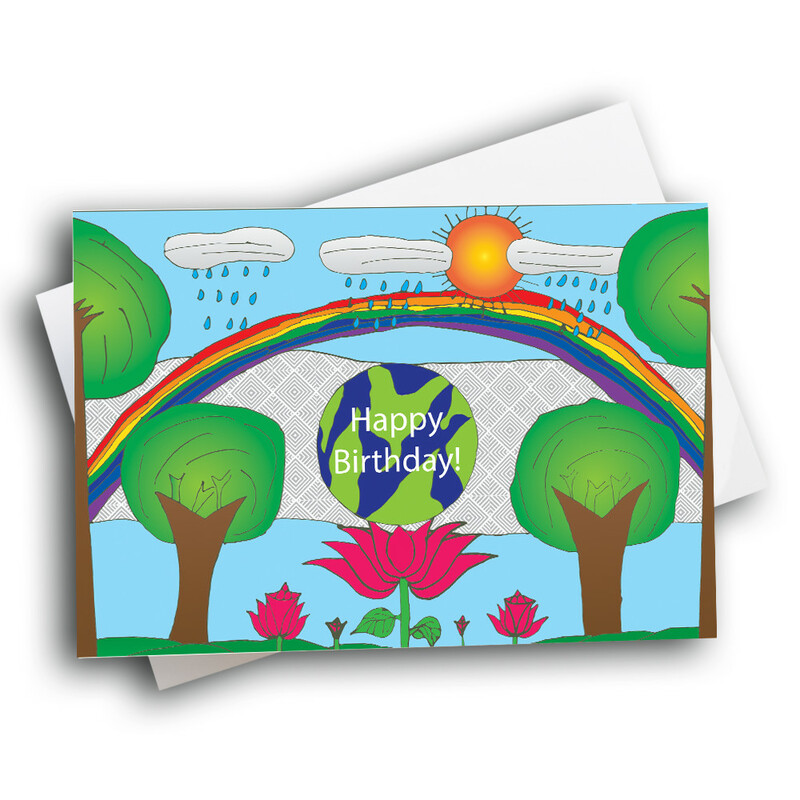 Adorning the front, a birthday greeting is printed across the earth, balanced atop a blooming flower. 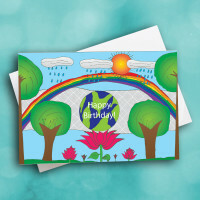 Surrounding this globe is a beautiful nature scene: trees, flowers, raining clouds, a bright orange sun, and a brilliant rainbow. 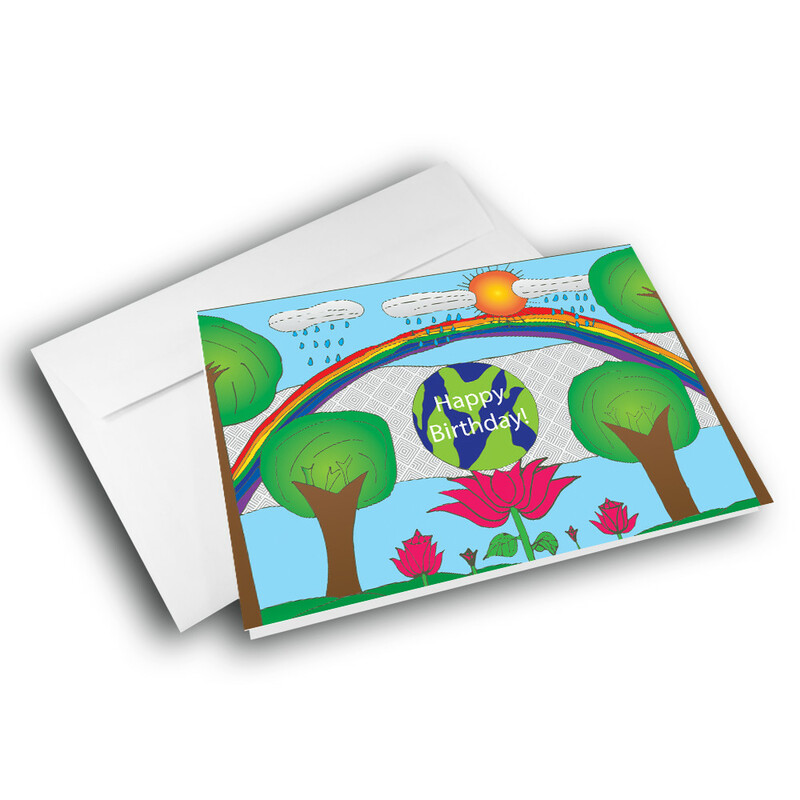 Customize the message inside to give the card a personalized touch.